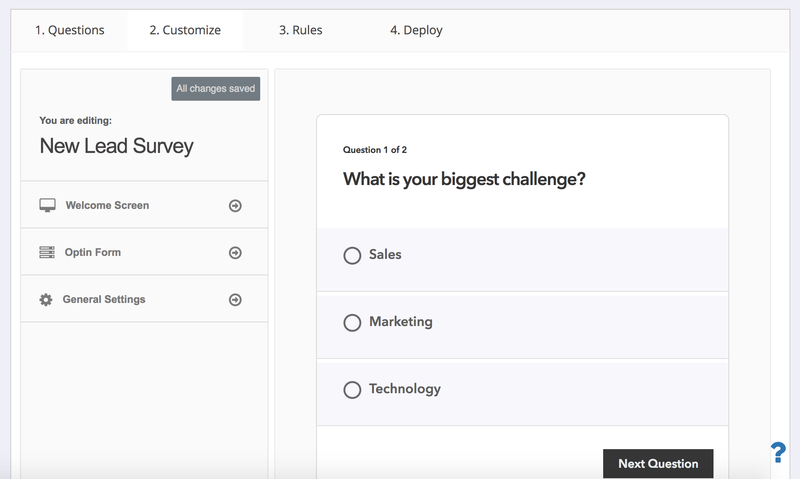 Create surveys, segment leads based on their interests, and automatically send the data to your favorite CRM! The New Product Survey is designed to find out what your audience’s needs and interests are, and break those down into 3-5 segments. The New Lead Survey is an upgrade to the traditional opt-in form. For each new lead you'll also identify their biggest challenge. Instead of writing off a non-buyer, create a quick one-question survey that asks "Why didn’t you purchase my course/book/offer?" You can use Scoring in Survey Funnel to create a "Buzz Feed Style" score-based quiz for your audience. Assign a score to each answer option and create actions based on the total score. 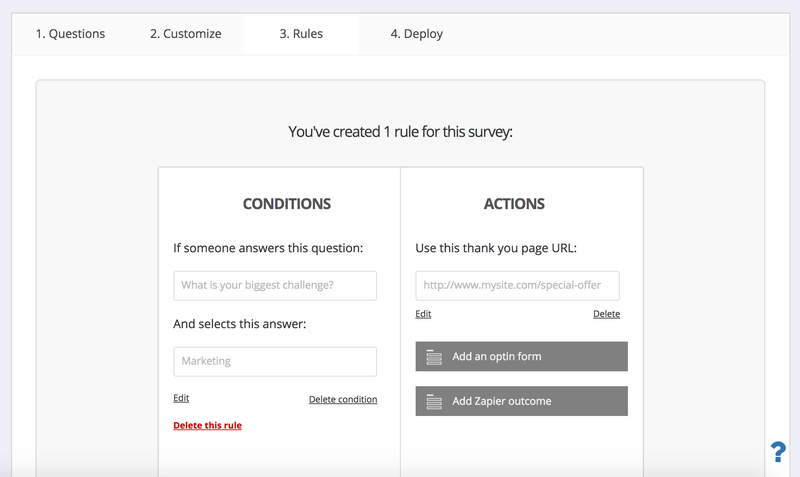 Rules is one of the most powerful features in the new Survey Funnel. You can use Rules to build a series of “if-then” statements that control what happens after the survey is submitted. 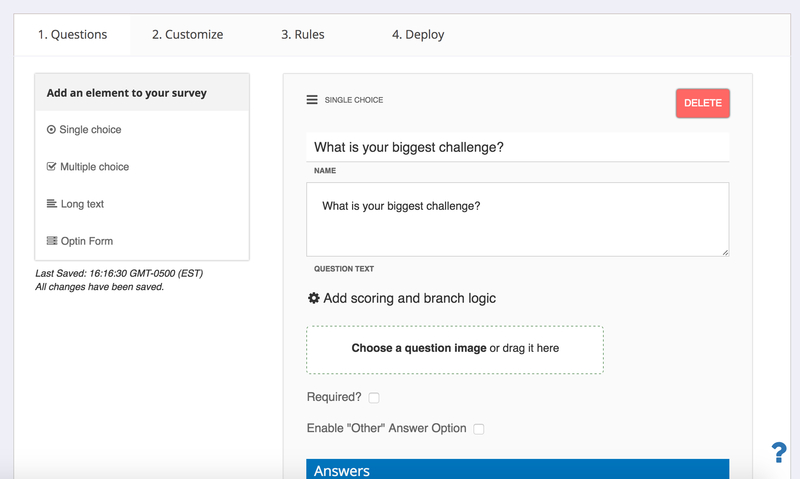 Create your first survey in 10 minutes or less! Not only is the interface gorgeous and easy to use, the survey logic is intuitive and offers tons of flexibility. 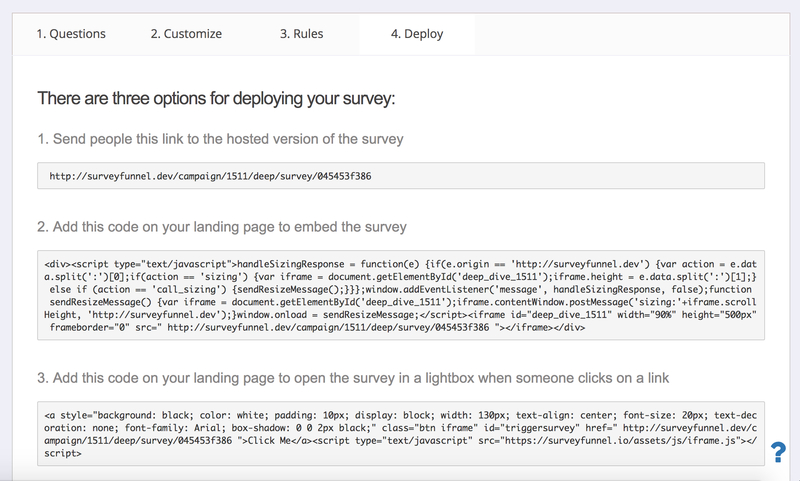 Survey Funnel will take my marketing to a whole new level. If you haven't implemented this yet, what are you waiting on? It works! Monthly payment of $67 and get unlimited access to all features.